Every Christmas a magical world appears in my town called Lollipop Land. The keepers of Lollipop Land, Jule Barten (visual designer) and Chris Boston (doll designer) were kind enough to let me photograph there last January. 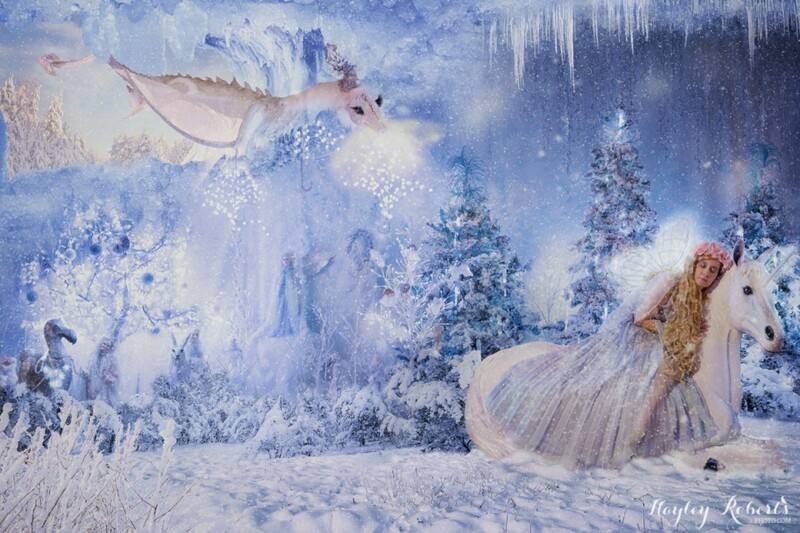 I chose to work with their gorgeous Enchanted Forest scene, posing myself on the unicorn (supplied by Natureworks) and using Photoshop to add snow; a process which you can read about here.